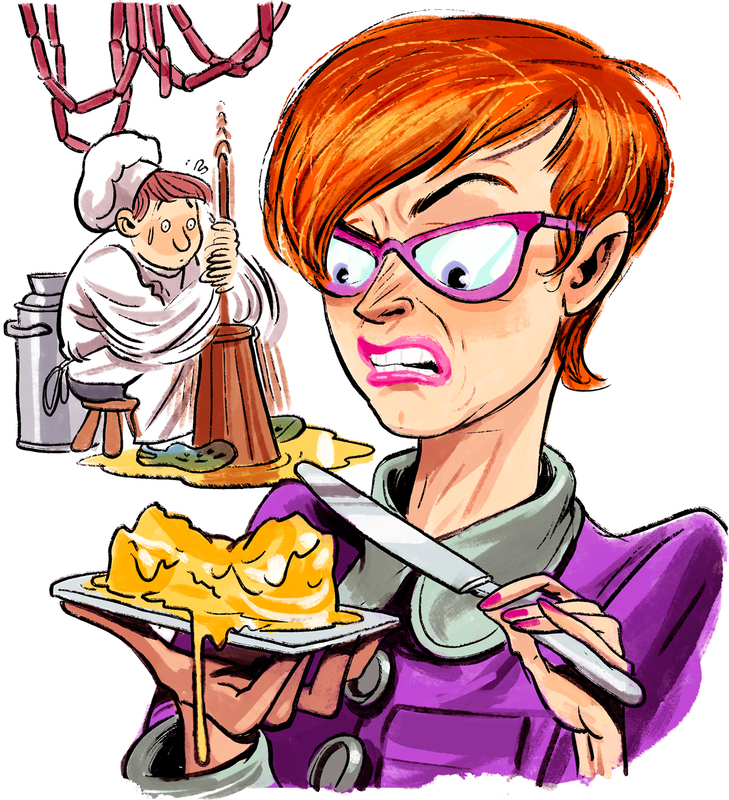 Home Uncategorized The Christiane Chronicles: Homemade butter, begone! In the last decade, I’ve seen ambitious chefs develop a sudden (and often temporary) interest in making their own ingredients. I’ve watched them hide in the back of the restaurant to stuff their own hot dogs, bottle bizarre ketchups, pickle pretty much everything that doesn’t run away, and make more jams than a homesteading grandma. Why are chefs milling their own flour, fermenting yogurt, and churning butter as if they lived in a little house on the prairie? Ninety percent of the time, the stuff they’re crafting is no better than what they could source from a true expert. Butter is easy to make—a five-year-old can drop some heavy cream and a couple of marbles in a small canister and shake it until butter ensues—but hard to make well. It should be hard, smooth, and taste like fresh cream. Google “great butters of the world,” and you’ll find major brands that are stocked at accessible places such as the Buford Highway Farmers Market. Compare those to one of the funky, runny, homemade ones you’re offered with great ceremony in a growing number of “farm-to-table” restaurants. Like me, you’ll conclude that chefs shouldn’t waste their energy playing dairymaid. When I sit down in a restaurant, I like to take a quick look around to figure out who’s in charge. Faced with the usual scrum of hosts, food runners, servers, and unidentifiable characters in the dining room, I often have trouble identifying a managerial type, but someone better be there who keeps an eye on things and can run interference between customers and staff. Good managers, whether dressed in couture or more casually, are worth their weight in gold. They know who is a repeat customer, who looks like trouble, and which server will best match the mood of a table. Long gone are fancy maitre d’s such as Peter Krehan, who ruled the Dining Room in the now-defunct Ritz-Carlton, Buckhead with an iron fist, and his more debonair successor, Claude Guillaume, who ended his career in hospitality at Davio’s in Phipps Plaza. A new generation of professionals has arisen in places such as Atlas in the St. Regis Hotel and Mission + Market in the spiffy new Alliance Center, and they know how to make customers feel special. They’re quick to slip you their business card and encourage you to deal with them directly. Restaurant groups often have a fixer who sets the tone in multiple restaurants, but nothing can replace the personal attention of someone like the extraordinary Sam Than, a native of Thailand who’s been with Pano Karatassos’s Buckhead Life for 34 years (currently at Bistro Niko in the heart of Buckhead). There isn’t a socialite he doesn’t know or a waiter whose routine he can’t improve. Soft spoken and apparently born to wear a suit, Than keeps everyone in the optimal zone.